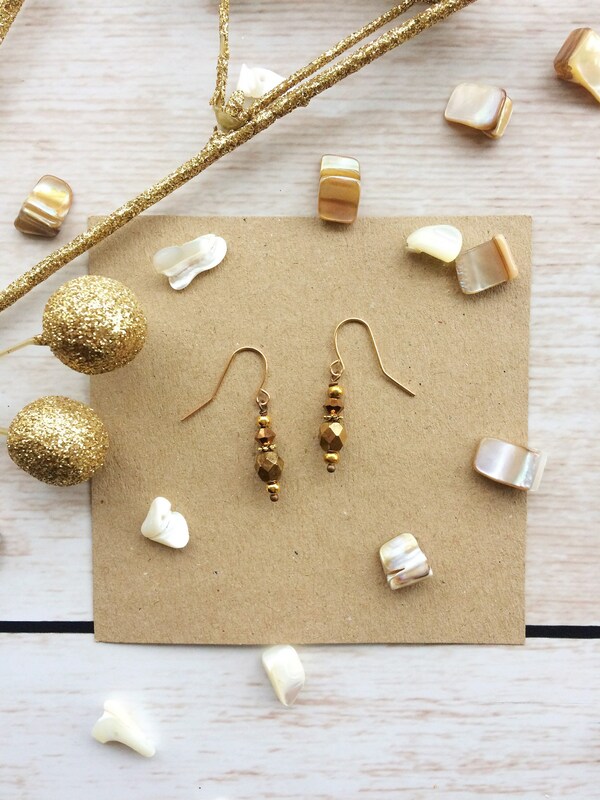 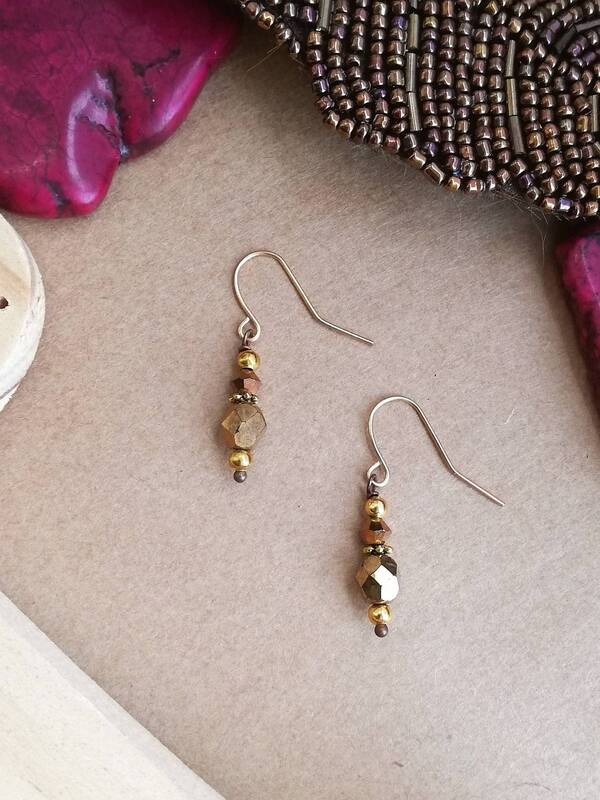 A delicate pair of drop earrings featuring several shades, textures and shapes of gold beads. 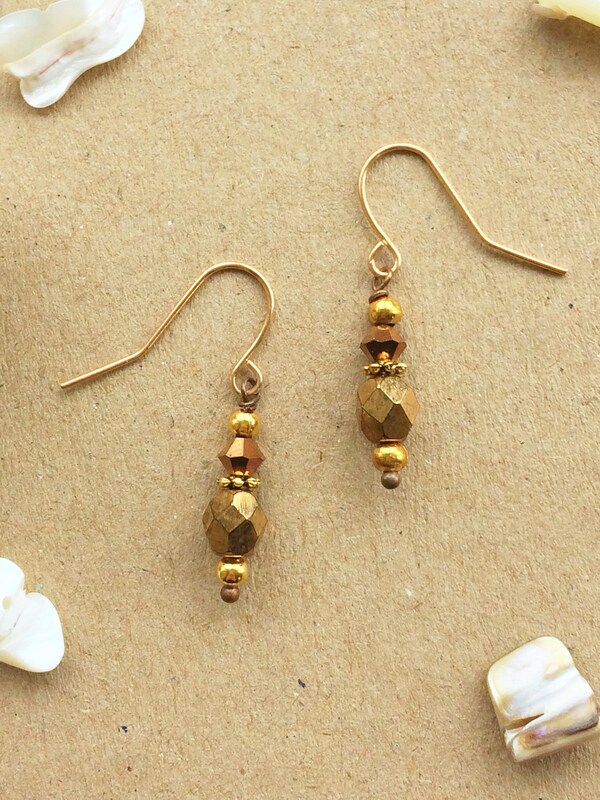 This includes genuine Swarovski crystals, faceted pressed glass Czech beads and smaller metal beads. 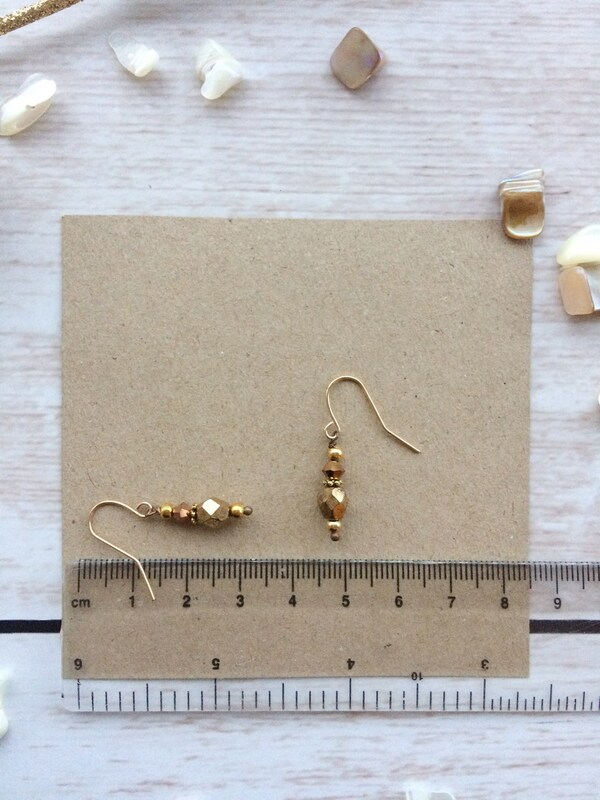 They are finished with light weight gold coloured ear wires, sized 12mm. 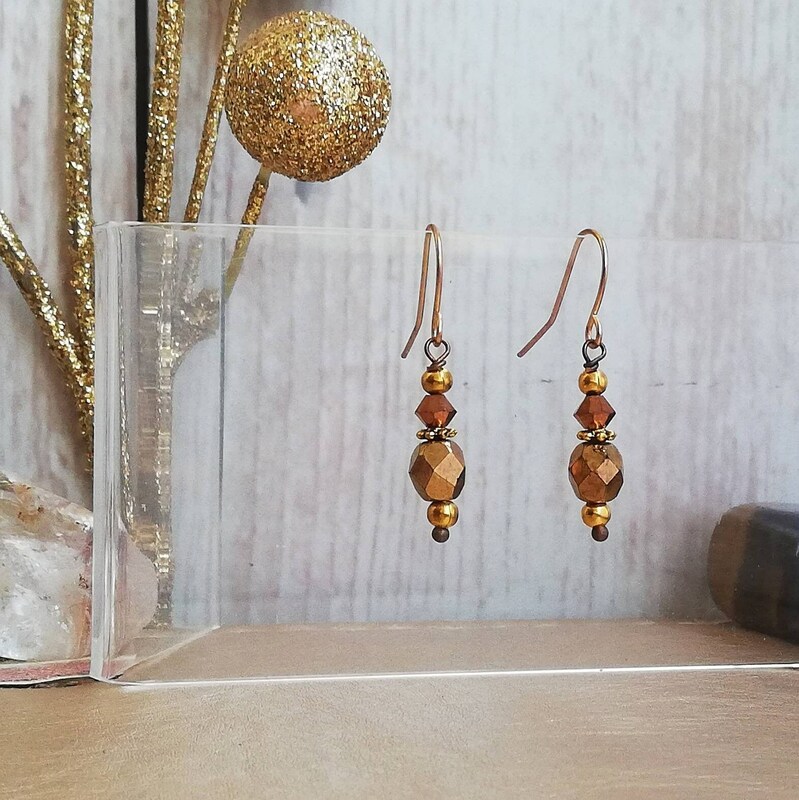 The total drop length of these earrings is 2cm.